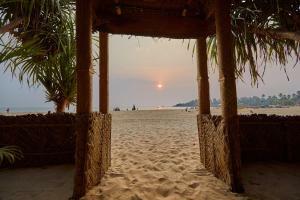 I am frequent Goa Visitor and I usually stay at beach huts. 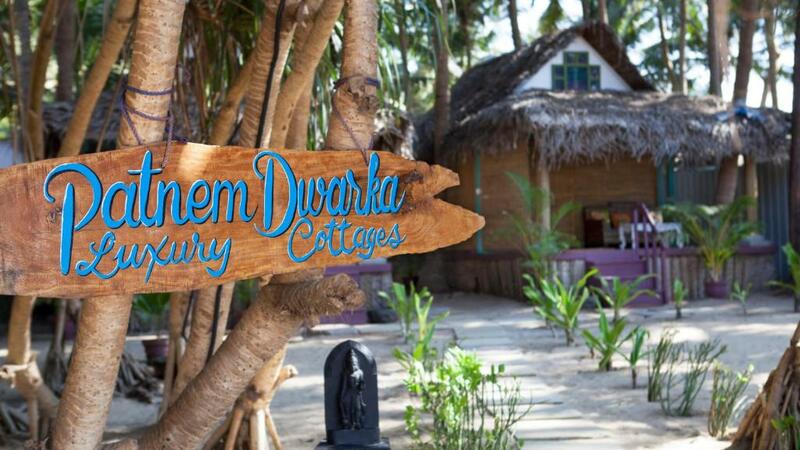 Patneem Dwarka has one the best beach huts; specially the sea facing cottages. Had a really great time! Best spot at Patnem and maybe south goa! 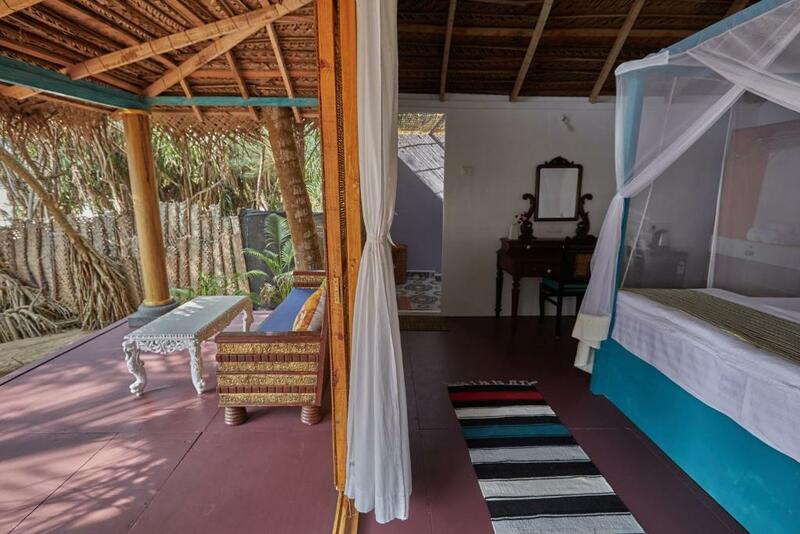 If you love to stay at a cozy hut close to the beach and be woken up by Sunrays,birds and the waves, this is your must go. Loved the outside showers. Very attentive and welcoming staff. Clean and lovely huts. Thanks so much! We had such a great time !!! Exactly what I Expected. Clean,quiet,comfortable & perfectly located. Warm & helpful staff. Complete value for money. The shacks are modern and well maintained. Stayed for 3 nights without any complains and issues. Highly recommended for people who want to get away from busy life and just unwind. Would surely visit again. The sea facing bungalows are literally right at the beach. Patnem Beach is perfect (beautiful, clean and quiet). Nice room, very comfortable bed with a great mosquito net. Owners are very nice. Perfect location directly on the beach, the quietest part of it, but near to everything. Bungalows better than so many others I saw on the same beach. Large bed. Open-air bathrooms. 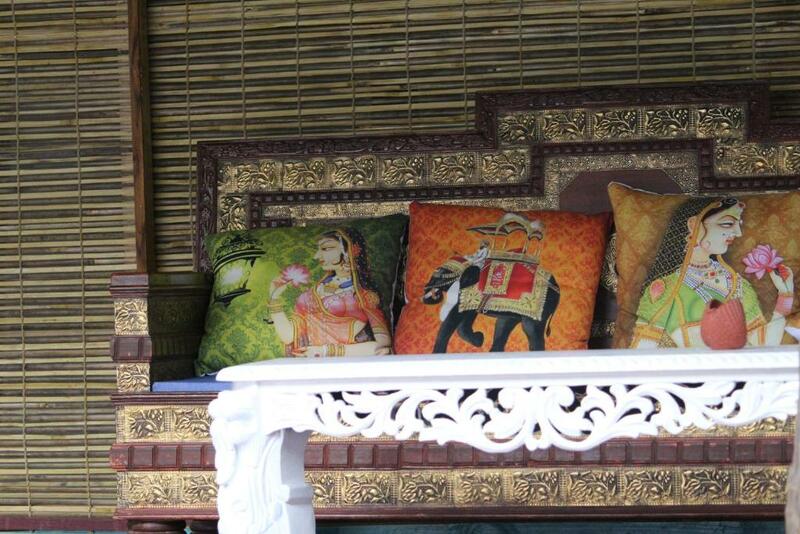 Touch of design in Indian style. Host polite and prompt to serve. Cleanliness inside and outside. New sunbeds with clean towels — again better than in other properties nearby. Many (but not noisy) cafes and restaurants just a few steps from the property. Nice room that overlooks the beach. The beach is very calm. There is a restaurant next door that is amazing. They have beach chairs for to lay on free of charge. I would stay here again. One of my favourite beaches in South Goa. The wifi was free strong also. 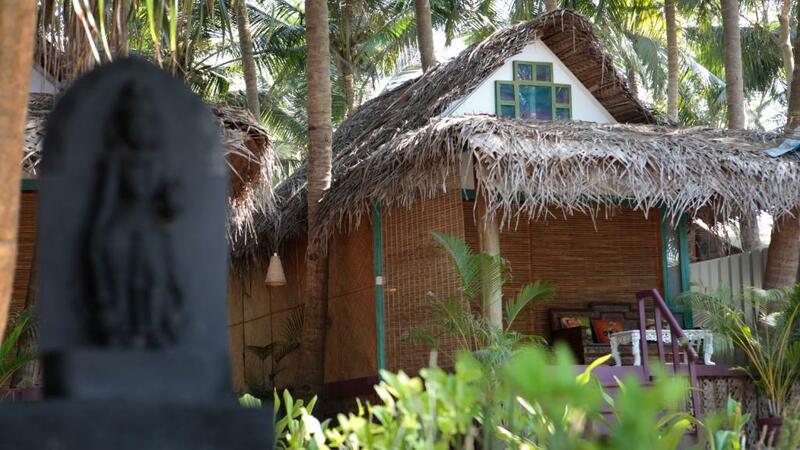 Located right on the beach , comfortable bed , good beach beds , very quiet part of Patnem beach which was big plus for me as its perfect for relaxation.We were allowed later check out on our last day at 14:00. Nice breakfast delivered from nearby restaurant although sometimes it was on a cold side due to delivery proces I assume. 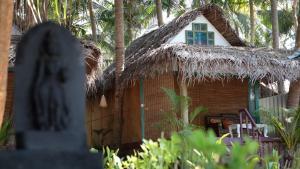 Nice beach huts on Patnem beach, with comfortable beds and a beautiful open bathroom. The best location to stay in Goa!!! Beautiful, clean cottages right in front of the sea. Very friendly and helpful staff!! Great breakfast!! It was a pleasure to stay here!!! Lock in a great price for Patnem Dwarka – rated 9.1 by recent guests! Patnem Dwarka has well-equipped accommodations featuring free WiFi in Canacona, 3.7 mi from Agonda beach and 7.5 mi from Cola Beach. A terrace with sea views is offered in every unit. The luxury tent offers a terrace. Netravali Wildlife Sanctuary is 14 mi from Patnem Dwarka, while Palolem Beach is a few steps away. Goa International Airport is 38 mi from the property. This property also has one of the top-rated locations in Patnem! Guests are happier about it compared to other properties in the area. This property is also rated for the best value in Patnem! Guests are getting more for their money when compared to other properties in this city. When would you like to stay at Patnem Dwarka? This villa has a balcony, seating area and tile/marble floor. House Rules Patnem Dwarka takes special requests – add in the next step! Patnem Dwarka accepts these cards and reserves the right to temporarily hold an amount prior to arrival. Please inform Patnem Dwarka of your expected arrival time in advance. You can use the Special Requests box when booking, or contact the property directly using the contact details in your confirmation. Well, it's not a hotel, it's a tiny property of six houses on the beach. No reception or large common areas, but do you really need them, when everything is working as it is? I would have grown some more plants to hide the fence. Sometimes you have to wait a few minutes before you have hot water in the shower. Open roof bathroom seems like a good idea in that climate and I wouldnt mind that at all until I saw a rat in my bathroom.Not pleasant experience at all . I do realize that they must be around given the surroundings and on the next property there is garbage storing place but it still felt horrible. Some nights noisy dogs from the beach and far too many crows as soon as the day starts , very noisy so consider taking ear plugs for better sleep. Never saw a smile from the staff . All in all I agree with other opinions that it is too expensive for what you get. It's a very relaxing, but not necessarily quiet place (mostly because of all the dogs barking at night). It also seemed slightly overpriced, but I guess Goa is generally more expensive than other parts of India. Not much to dislike about this place. If you're after a quiet place to stay on the beach this is it! Location is incredible. You're on the beach on seconds. Breakfast is also really really good. Rooms are super comfortable and the bathroom is fantastic. 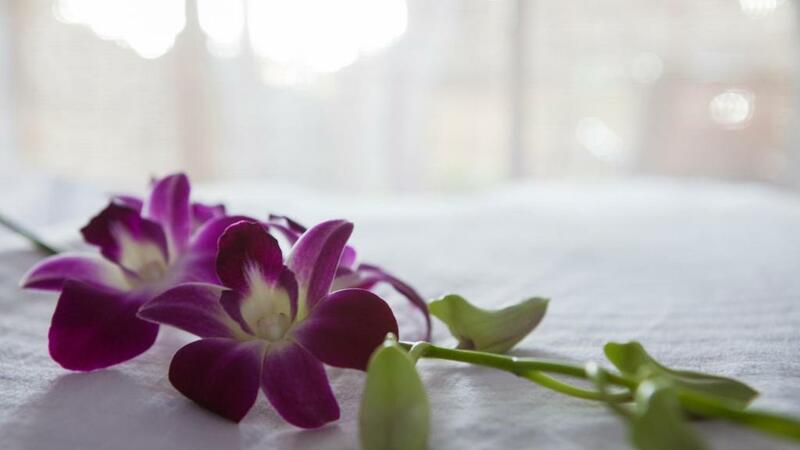 The most beautiful rooms surrounded by a lush garden leading onto the beach. The highlight was the most amazingly comfortable bed with such a beautifully designed bathroom. Over priced vs similar properties and this resort has no bar or restaurant . If you want laundry done then go to one if the laundry places in town as this place does not take responsibility for your laundry once it's handed over to them. Great location right on the beach and large comfy bed. Staff were friendly. Nothing, really nothing at all! Very beautiful and neat beach cottages. Perfect to relax! Very clean and well maintained, great little details make them just stunning. 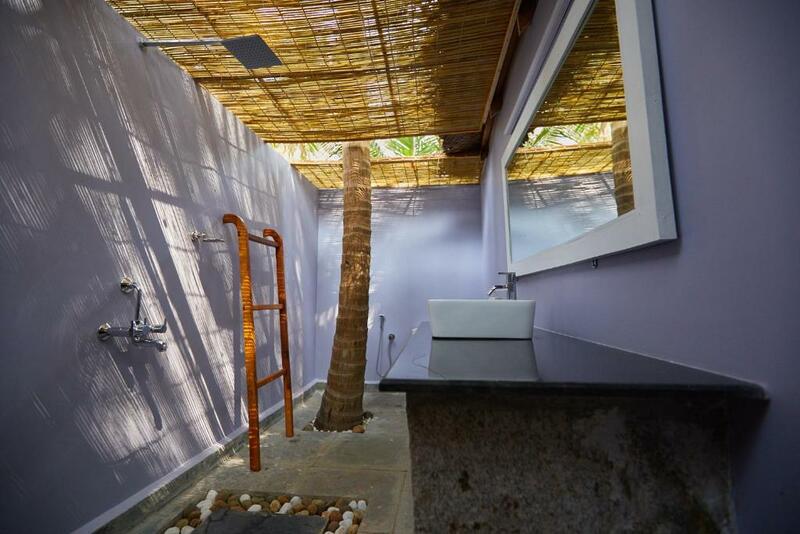 Perfectly located on the wider part of Palolem beach - very near to restaurants and bars - yet sheltered from noise. A roof of trees provide shade and keep the cottages cool - perfect for sleeping. The fan is really quiet, we never had to use the air con (which looked very new). The open bathroom just is the cherry on the cake! The owner Dinesh is a great host - in the background but still always available once you need him. Really nice guy! We would always come again. Our stay here was the highlight of our trip to India! Even we arrived at 5 a.m we could already check into our room without any extra charge. Also it was no problem to check out in the late afternoon without any extra cost. The outside bathroom, despite being nicely designed, is not great given the luxury-price tag (has a camping feel to it with mosquitoes etc). It was really a great stay, but the price is too high for what it is. Nothing - the staff is ther if you have a question. They fill your fridge if you like, they arrange a taxi, print your ticket. Clean your house. And it is so beautifull! It was fantastic. The hospitality, the accomodation, the friendly and quick and pleasant service. There are a lot of really great restaurants in 1 - 5 min. walking - just out to the beach. The beach, the sea, the atmosphere is just great!! Quieter that other places in this neighbourhood, I guess. Really felt 'at home' / away.